Jay W. Richards, Ph.D., is author of many books including the New York Times bestsellers Infiltrated (2013) and Indivisible (2012). He is also the author of Money, Greed, and God, winner of a 2010 Templeton Enterprise Award; and co-author of The Privileged Planet with astronomer Guillermo Gonzalez. His most recent book, co-authored with Jonathan Witt, is The Hobbit Party: The Vision of Freedom that J.R.R. Tolkien Got and the West Forgot. Richards is an Research Assistant Professor in the Busch School of Business at The Catholic University of America, a Senior Fellow at the Discovery Institute, and executive editor of The Stream. In recent years he has been Distinguished Fellow at the Institute for Faith, Work & Economics, Contributing Editor of The American at the American Enterprise Institute, a Visiting Fellow at the Heritage Foundation, and Research Fellow and Director of Acton Media at the Acton Institute. 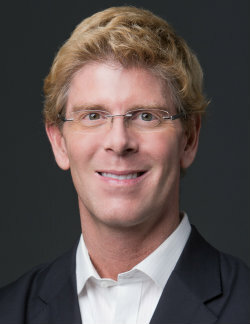 Richards’ articles and essays have been published in The Harvard Business Review, Wall Street Journal, Barron’s, Washington Post, Forbes, The Daily Caller, Investor’s Business Daily, Washington Times, The Philadelphia Inquirer, The Huffington Post, The American Spectator, The Daily Caller, The Seattle Post-Intelligencer, and a wide variety of other publications. He is a regular contributor to National Review Online, Christian Research Journal, and The Imaginative Conservative. His topics range from culture, economics, and public policy to natural science, technology, and the environment. He is also creator and executive producer of several documentaries, including three that appeared widely on PBS—The Call of the Entrepreneur, The Birth of Freedom, and The Privileged Planet. Richards’ work has been covered in The New York Times (front page news, science news, and editorial), The Washington Post (news and editorial), The Wall Street Journal, The Washington Times, Nature, Science, Astronomy, Physics Today, Reuters, The Chronicle of Higher Education, American Enterprise, Congressional Quarterly Researcher, World, National Catholic Register, and American Spectator. An experienced public speaker, Richards has appeared on several hundred radio and television programs, including Larry King Live (CNN), Huckabee, Dayside, Fox and Friends, Studio B with Shepard Smith (Fox News), Glenn Beck TV, Yahoo Finance, Life Today, PBS, CBN, and TBN, The Michael Medved Show, The Mitch Albom Show, The Thom Hartmann Program, The Dennis Prager Show, Linda Chavez, The Mark Davis Show, The Bible Answer Man, Janet Parshall’s America, Al Kresta, Teresa Tomeo, Drew Mariani, Cardinal Dolan, and many others. He has lectured at conferences as diverse as the Western Economic Association, Intercollegiate Studies Institute, and the Evangelical Theological Society; on dozens of college and university campuses; at think tanks, including the Cato Institute, the American Enterprise Institute, the Foundation for Economic Education, the New America Foundation and the Heritage Foundation; at numerous public policy meetings, such as the Heritage Resource Bank, the Council for National Policy, and the Atlas Freedom Forum; in Christian forums such as Legatus and Catholic Professionals, and on several occasions to members of the U.S. Congress and U.S. congressional staff. In January 2008, his debate with the late Christopher Hitchens at Stanford University, moderated by Ben Stein and Michael Cromartie, was broadcast live to several hundred North American churches. Richards has a Ph.D., with honors, in philosophy and theology from Princeton Theological Seminary. He also has an M.Div. (Master of Divinity), a Th.M. (Master of Theology), and a B.A. with majors in Political Science and Religion. He lives with his family in the Washington DC Metro area.